On September 25th, something very interesting happened. Mists of Pandaria was released to a horde of fans who were eager to have something different, and hopefully better than what Cataclysm had been. They were chomping at the bit, desperate for something more than running a raid for the past 9 months. Blizzard Entertainment did an extrordinary thing. They delivered, and then some. Most people I had spoken to were completely done with Cataclysm. 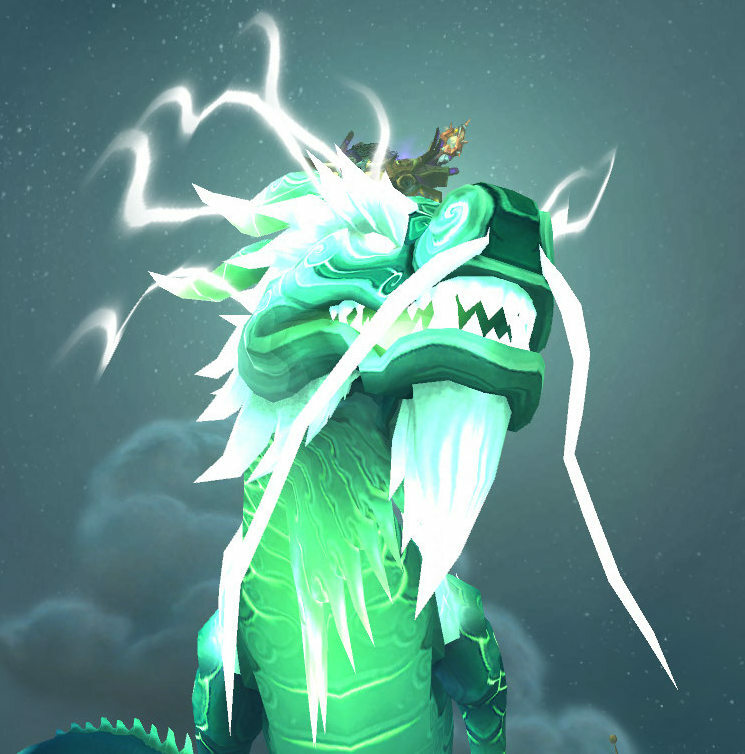 Dragon Soul had been out for about 9 months, they had cleared everything and had all of the mounts and achievements they could get or wanted to get. All of their professions were maxed, they had all the reputations they needed, or whatever their case may have been. Personally, I wasn’t playing as much as I had before. I would log on a few nights a week to do a couple randoms, maybe a Raid Finder group (if it didn’t blow up). Leveling alts only stays exciting for so long. Not having time to raid took out the only regular thing I had ever relied on in previous expansions. The only thing I was doing was leveling my Alliance Mage on my friends’ server. When Mists launched, all of a sudden I had so much stuff to do again. True to what I had been expecting, the very first thing I did was do some pet battles. I had only done a little bit of them in beta, and they were just as much fun as I remembered. Memories of playing Pokemon in junior high school came back in a very big way. For the first time since Burning Crusade, my wife and I decided to level our mains together. I play a Feral Druid and she plays an Enhancement Shaman, so we were able to power through most mobs without much problem (except for some of the rares that we stumbled across). We hit 90 this past weekend, and really enjoyed all of the zones that we quested through. Overall, the quest design of this expansion is absolutely amazing. There were quests where we laughed – mainly the Hozen quests, especially Riko expressing his undying (see what I did there?) love for Kiryn – some quests that were quite touching, but the most important thing is that pretty much all of them were a lot of fun. There is one thing that I keep coming back to, something that I find myself saying all the time, which is how absolutely beautiful the new content is. It’s hard to believe that the engine running this is over 8 years old, yet we’re still given these amazing views. Everything from the grand temples and structures, down to the small little tumbleweeds that blow around Kun-Lai Summit. The environment is gorgeous and incredibly immersive. At the moment, I have yet to find something about this expansion that I don’t like. The closest thing that I could label as a complaint is that there’s just too much to do. Once I hit level 90, I have at least four different factions that I want to raise my reptutation with immediately, and being the completionist that I am, I want to eventually get them all up to exalted. I still have yet to fully do many dungeons or scenarios – the only ones I’ve done is one run of the new heroic Scholomance, and one instance of the Arena of Annihilation. All I know is that I’m more excited about this expansion than I have been for any other, possibly having Burning Crusade for the exception (only because at the time, it was the first expansion). One last note: a few friends of mine were extremely critical of the Mists of Pandaria announcement after BlizzCon. They were complaining about how much it looked like a very weak expansion without much content. Now, after talking with them after the release, they have completely changed their stances and are quite happy with the result. The Cataclysm wrought huge changes to the face of Azeroth, as well as what the inhabitants are doing. For the first time in six years, the story progressed forward and we see new things that are happening across the whole world. Mankrik isn’t just wallowing in Crossroads anymore, he’s plotting his revenge at the Grol’dom Farm (and other places later on). Along with him, there’s plenty of new things to experience. Right now I’m leveling up a new hunter, and have just recently gone through part of Badlands and got to experience one of the best quests in the game so far. It made me think of some of the best quests and quest lines through the game so far, and why I’ve enjoyed them. This is a quest at the border of Silverpine Forest and Hillsbrad Foothills, where you get to do something never thought of before: become a quest giver. Rather than just moving through the quest hubs, collecting the quests and moving on, you get to see the story from the other side. Three characters come by, and you get to see the different stereotypes of questers that are out there. It also sets the stage for part of the zone, as you get to meet up with two of the characters later on, who play a major part of questing areas. I enjoyed this quest as it’s almost breaking the fourth wall, and gives the character an idea of what it’s like to sit around all day and hand out quests. Very entertaining, and makes you think a bit. If you’ve ever seen the TV show “How I Met Your Mother”, this is similar to it. In the show the main character is telling his kids a long story about how he eventually met their mother, and at times he tries to censor himself or what they were doing, so the story is embellished or changed. For example, in college they loved “sandwiches”, and not something else which isn’t completely legal. This quest line is made up of three quests from three NPCs sitting around in the Badlands and saying what “happened” the day that Deathwing came through and messed things up. You get to live out each of the stories, ranging from punching Deathwing in the face to having a flying motorcycle. Once again, it’s just very entertaining and funny seeing Blizzard’s imagination at work. I can totally see three people hanging out saying how things happened, and that it was THEIR version that was the truth. 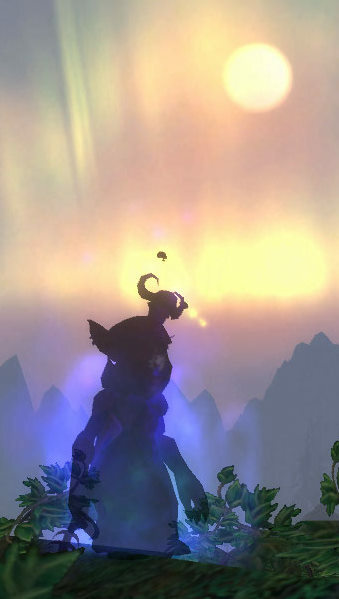 Looney Tunes meets World of Warcraft. Elmer Fudd has been reincarnated in the NPC Kala’ma in Northern Barrens, just north of Ratchet. He is upset that the “waptors” have stolen all his stuff, and wants you to “twap” them. All of his dialogue is along this style of Elmer Fudd or the priest from The Princess Bride. Blizzard puts thought into even these small quests, as the action that you take is “twapping waptor”. It’s things like this that show the amount work that goes into quest design, and I sure appreciate it. These are but three quests out of many thousand that are in the game, and were just off the top of my head. There are many memorable ones out there, but these were ones that I thought were fun and entertaining. Feel free to add your favourite quests in the comments.